Our values of Responsiveness, Resourcefulness, & Reliability are the foundation of our relationships with customers, partners, and suppliers. We know the most successful organizations are those with the strongest customer base, and we excel at understanding the nuances of each of our customers. Responsiveness is the practical application of an organization’s knowledge and experience in a respectful and timely fashion. SunBug has an extensive track record of delivering solar energy solutions to residences, commercial businesses, landowners, and non-profit organizations across the state. 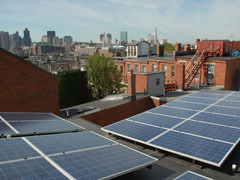 We’ve done so by meeting the individual needs and requirements of each of our clients, rather than trying to impose off-the-shelf, cookie-cutter packages upon our clients in a generic fashion, as some solar installers are known to do. We are fastidious about our communications with our customers, both proactively and responsively. Resourcefulness is more than just the creative application of an organization's knowledge and available resources to solve a problem. Because our collaborative work environment is staffed by teammates with experience in a variety of fields, we are able to find creative solutions to seemingly insurmountable obstacles. SunBug's project teams creatively apply knowledge, expertise, and resources to solve our customers’ problems and deliver appropriate solar solutions. At the core of Reliability is the honesty and integrity required for successful long-term relationships with customers and partners. SunBug honors its commitments. We reliably say what we do, and then do what we say. Reliability also means that we’ll be there over the long haul and not quietly disappear as soon as a SunBug solar system gets built, nor will we cut corners or skimp when we encounter an unanticipated installation challenge. 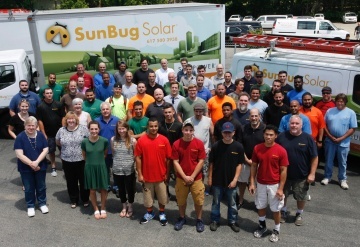 SunBug’s “high-touch,” consultative, and partnership-oriented approach to customers is central to why we are the only solar installer serving Massachusetts to have earned the coveted Angie’s List Super Service Award every year since 2012. We are proud of our extensive track record of “A” client ratings that we have received for the quality of our workmanship, the responsiveness of our communications, and the professionalism of each and every member of the SunBug team.